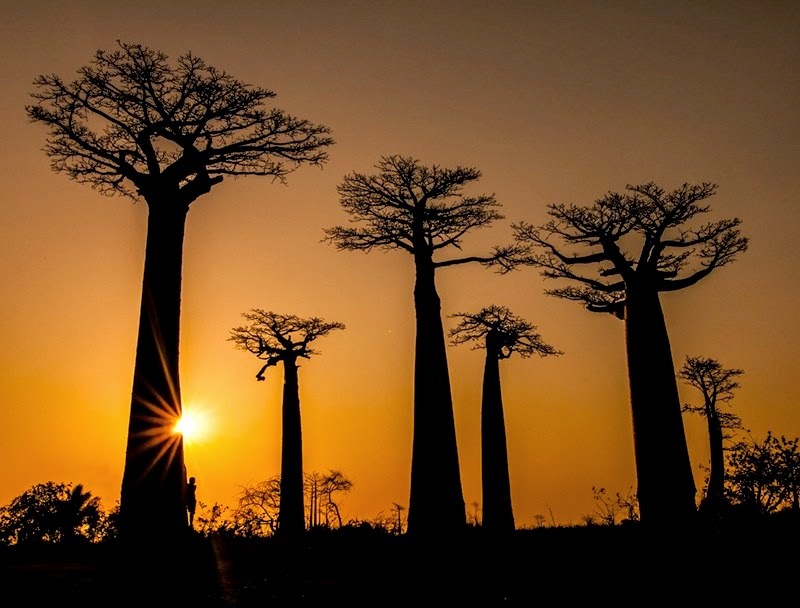 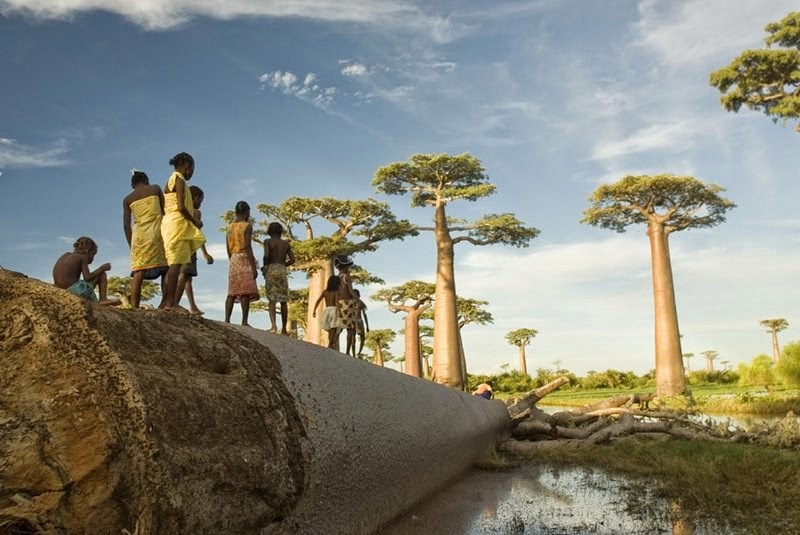 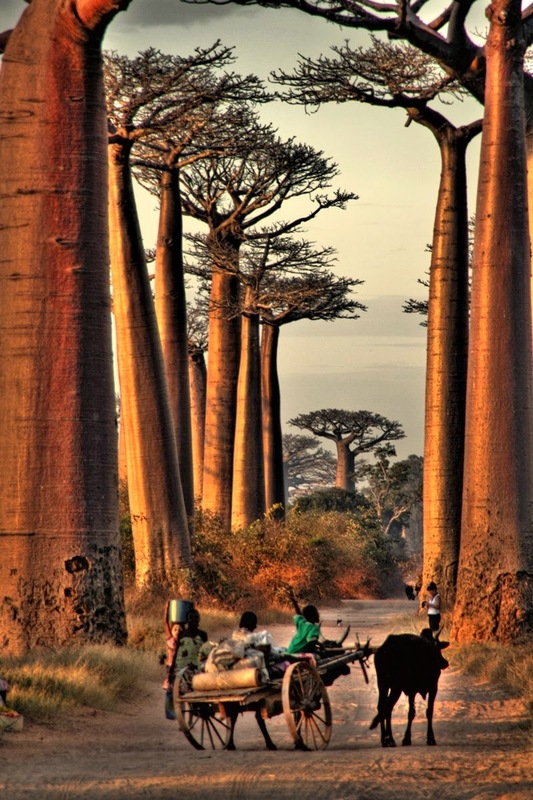 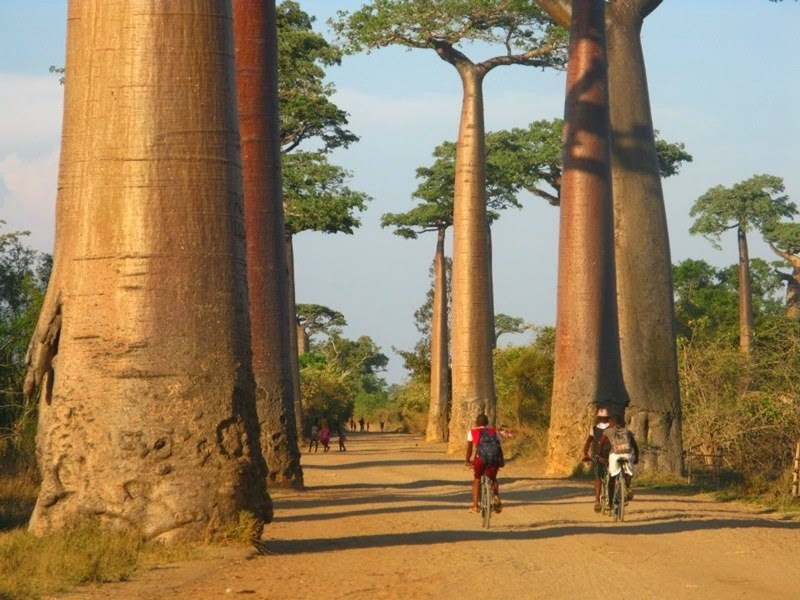 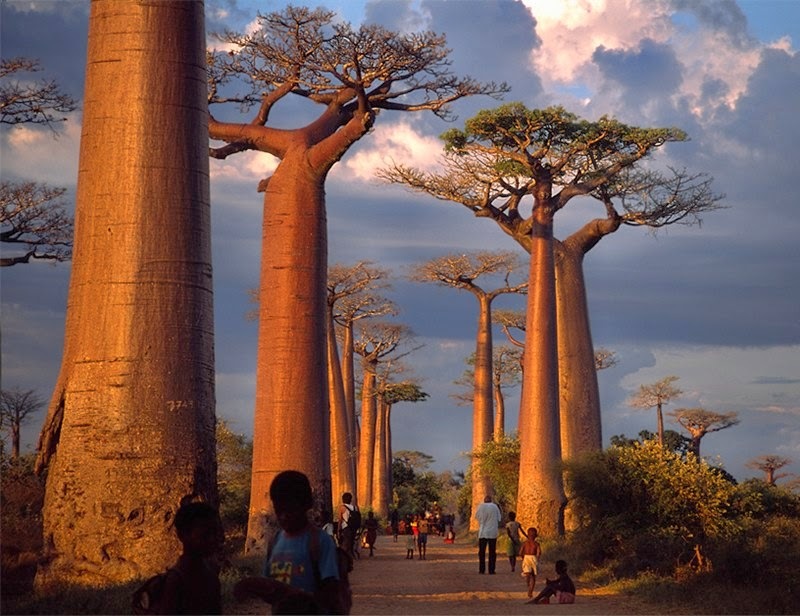 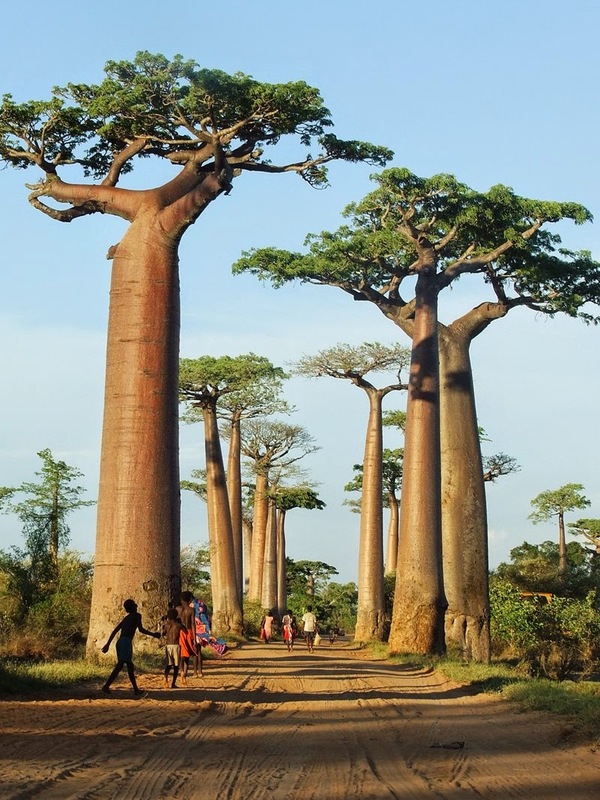 The Avenue or Alley of the Baobabs is a prominent group of baobab trees lining the dirt road between Morondava and Belon'i Tsiribihina in the Menabe region in western Madagascar. 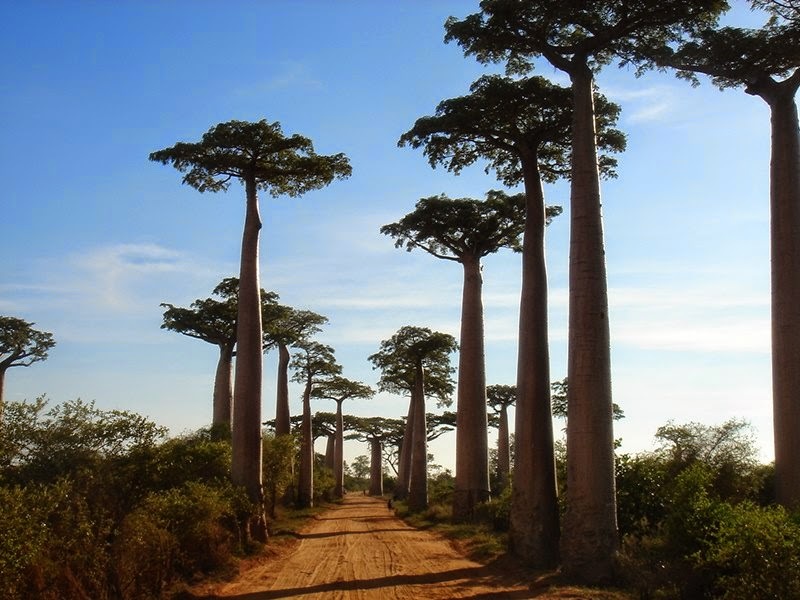 Its striking landscape draws travelers from around the world, making it one of the most visited locations in the region. 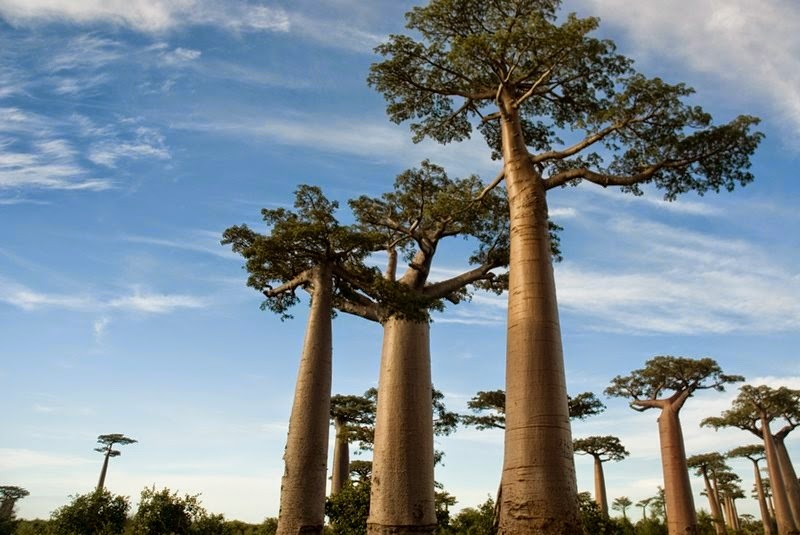 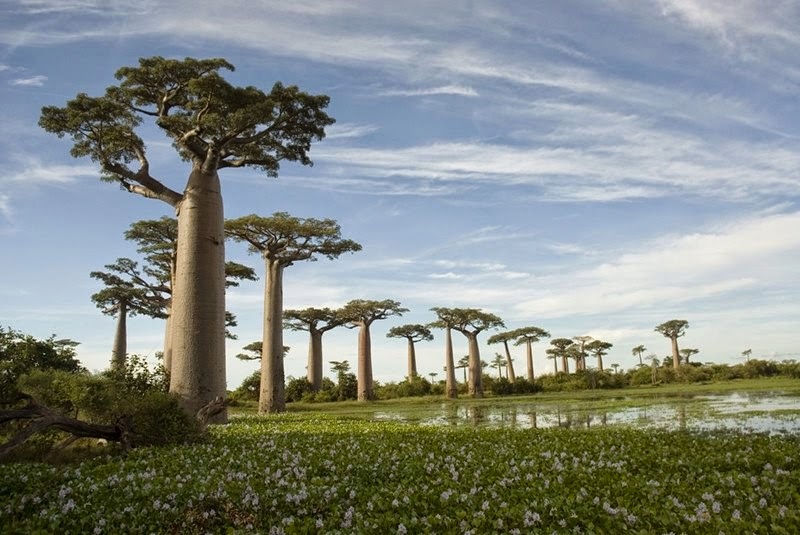 It has been a center of local conservation efforts, and was granted temporary protected status in July 2007 by the Ministry of Environment, Water and Forests, the first step toward making it Madagascar's first natural monument. 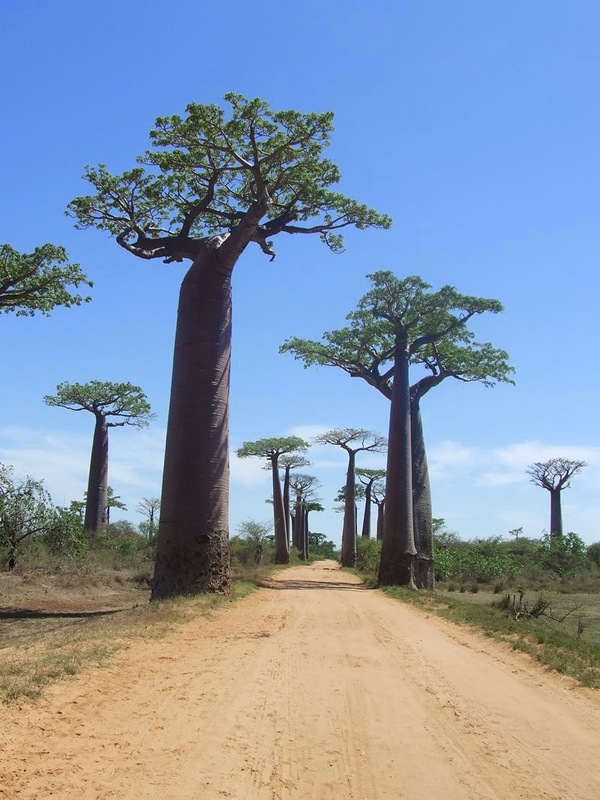 Along the Avenue in some 260 m long segment are remaining some 20 - 25 trees about 30 meters in height, of the species Adansonia grandidieri, endemic to Madagascar. 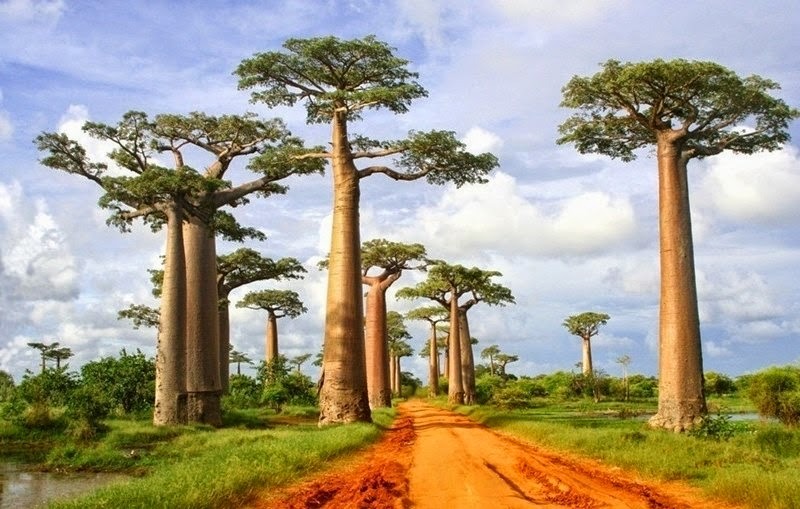 Some 20 - 25 more trees of this species grow in nearby rice paddies and meadows.